In the end, every man pays for what he takes. 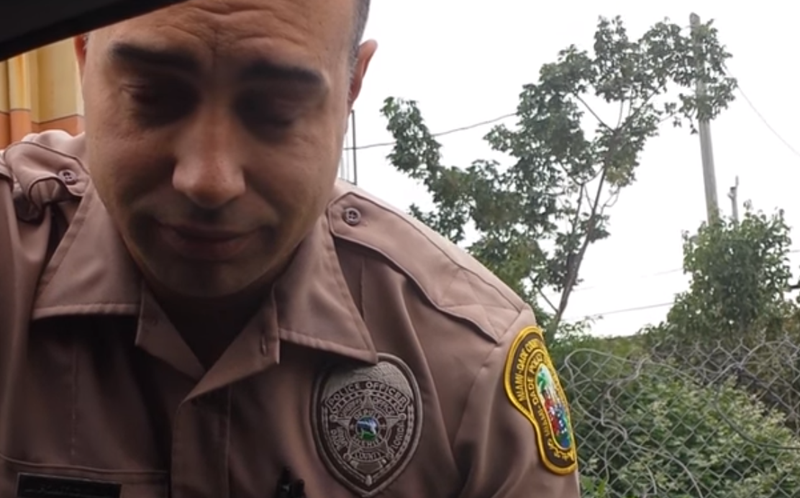 For one Miami cop, the price of leisurely speeding in his police car ended up costing him the recorded embarrassment of getting pulled over and mom-lectured by a concerned motorist over his cavalier attitude towards driving. According to ABC News, a Miami police officer was pulled over by Concerned Citizen of Miami Claudia Castillo, who recorded her conversation over the officer’s speed in traffic, followed by her lecture on the powerful influence of his position in society. Claudia recorded and uploaded her display of vigilantism in three separate parts on YouTube, with the final video capturing her tense scolding of the officer “pushing 90 miles an hour.” Judging by the tone of the woman and the expression of the officer, I can’t help picture a mother scolding her child. What’s poignant in the video is the hilarious reversal of the typical exchange between two parties of a traffic stop, with Claudia taking on the enforcer role asking common rhetorical cop questions like, “Do you know why I pulled you over?” and “What’s the emergency?” followed with the officer responding with the blatant lie of “I don’t think I was speeding” typically assigned to the person not in the police uniform. The officer politely agreed and walked back to his cruiser, feeling the piercing stare of the watchful eye of Justice.